It is learnt that the Teesta water sharing agreement is unlikely to be signed during Bangladesh Prime Minister Sheikh Hasina visit to India, beginning Friday. Prime Minister Narendra Modi during his Bangladesh visit in 2015 had expressed confidence of finding a "fair solution" to the long-pending Teesta and Feni river water sharing issue. 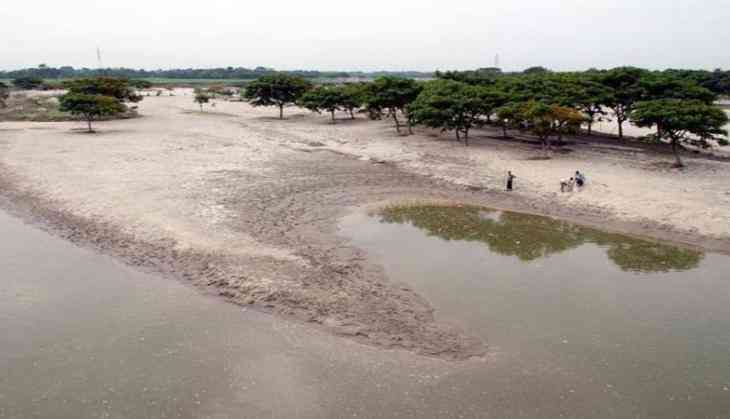 The waters of the Teesta river is crucial for Bangladesh, especially during the lean period between December and March, when the water flow temporarily comes down to less than 1,000 cusecs from 5,000 cusecs. The Teesta River originates from the Pahunri Glacier, and flows southward through gorges and rapids in the Sikkim Himalayas. It flows through Sikkim, West Bengal and Bangladesh where after coursing through about 45km of irrigable land, merges with the Brahmaputra River. In 1983, an ad-hoc water sharing agreement was reached between India and Bangladesh, whereby both countries were allocated 39% and 36% of the water flow respectively. However, the deal fell through when the then newly elected Chief Minister of West Bengal, Mamata Banerjee, refused to approve the treaty, fearing that the loss of higher volume of water to the lower riparian would cause problems in the northern region of state, especially during drier months. Bangladesh Foreign Minister A H Mahmood Ali had on Tuesday said that 33 memoranda of understanding (MoUs) are e likely to be signed during Prime Minister Sheikh Hasina's official visit to New Delhi. Prime Minister will be undertaking a four-day visit to India from Friday. Addressing media here ahead of the visit, Mahmood said that it will be aimed at expanding bilateral trade, boosting investment, connectivity and sub-regional assistance. Construction of Padma and Ganges barrages, distribution of common river water, border management and fighting cross-border drugs and human trafficking are also among the issues likely to be discussed. The Bangladesh Prime Minister will also honour 1661 Indian soldiers who lost their lives during the 1971 Liberation War, he said. All agreements will be made public, Ali said at a media briefing in Dhaka. The prime minister will fly to India on April 7 and return to Dhaka on April 10. The deals to be signed are tied to the establishment of border posts, information exchange, nuclear power, science, technology, electricity, energy and defence, the foreign minister said. Asked about the defence agreements and possibility of a breakthrough on the Teesta water sharing agreement, Ali said while he would not go into specifics, everything would be done in a transparent manner.